Do you have a web site that needs some fast changes but you or your agency just can't find the time? 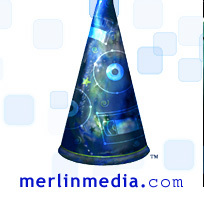 Merlin Media can take your changes and get your site updated rapidly and accurately. Need it in a hurry? Depending on the nature of the changes, work can often be completed in just a few hours. Along with our extensive website design and development services, Merlin Media provides a full range of ongoing professonal web management and maintenance services. Whether your's is a site developed by Merlin Media, your own in-house team, or another agency, we can provide full management and periodic update services on a one-time, as-needed, or even an ongoing basis. A number of clients know that they need our services, they just don't know how often and for what length of time. These clients typically utilize our "as needed" services. As needed services are completed on a first-come, first-served bases and generally within no more than two business days. As-Needed maintenance is billed as it is performed at our hourly rates. Even if you are an as needed maintenance client, if you need it finished sooner, we can accommodate you in almost every instance. So, if you already have a web site, come to Merlin Media for your ongoing, professional web management and maintenance services. We have the time, talent and ability to take part of all of the "load" off of your team and provide you with web management and other services for weeks, months or even years.